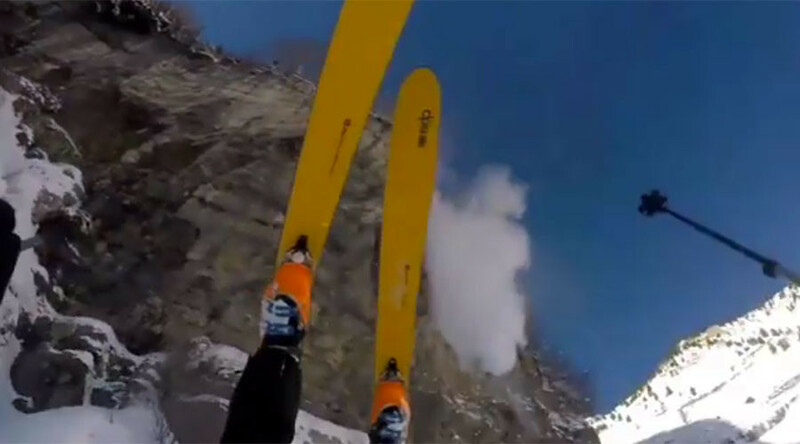 Hair-raising footage of a skier falling 150ft (46 meters) off a cliff in the Utah mountains has gone viral and left the internet wondering how the adventurer walked away unscathed from the perilous plunge. Devon Stratton, 25, miraculously survived the plunge without a scratch and later posted the clip of his misadventure at Mount Timpanogos on Instagram. The remarkable video shows Stratton skiing down the mountain below stunning blue skies before unintentionally diving right off the top of a cliff. Stratton can be heard shouting as he falls to the ground in a terrifying drop. Just moments later, he turns his face towards the camera to show he’s OK. Amazingly, Stratton escaped injury, despite landing on his back. “Turns out I am afraid of heights... Miraculously I didn’t even have a bruise! I did break a lot of gear including my helmet,” he wrote in an Instagram post.